There are micro USB cable for charging and AUX audio cable this round. Of course, you have the user manual to get you started too. Build quality is the same as U150. Yes, it is excellent for the price no doubt. Again thanks to solid plastic housing and the metal speaker grill in front. In addition, it is even more stylish without those cables now. Yeah… And much more portable. Place it anywhere as you prefer. As usual, volume control is the power on / off switch. And there is a blue LED power light indicator. Here are the navigation buttons. AUX input, micro SD slot and micro USB port. No mic input and headphone jack this time. Same stable anti-skid pad at the bottom on both left and right. 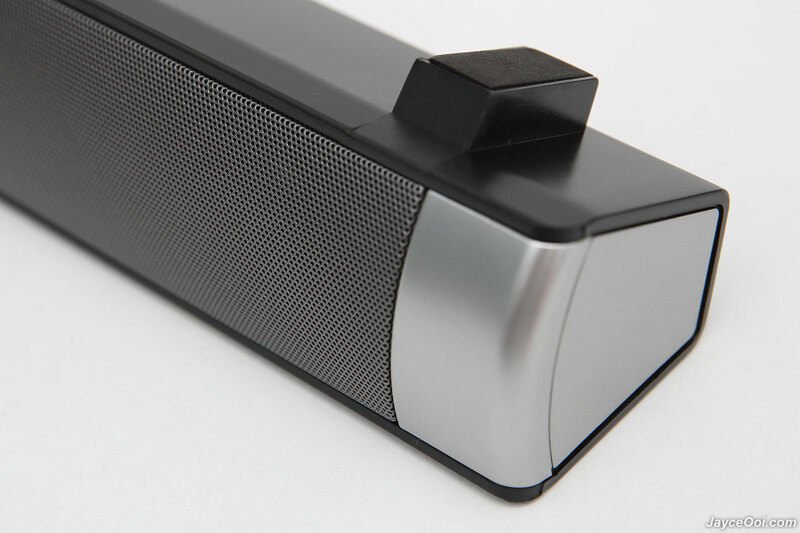 AudioBox SonicBar BT150 has outstanding Bluetooth range. Yes, you can jumping from room to room without getting disconnected for sure. Easily passed the 10m Bluetooth range in straight sight line with no obstacle test. Up to 8m on obstacle test with walls. Furthermore, it has virtually no lag between video and audio. That’s great to watch movie, TV series and play games on mobile devices. 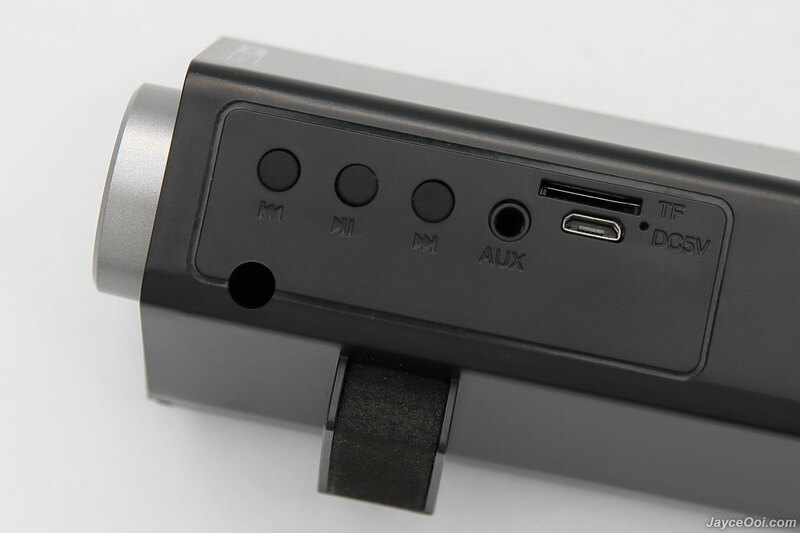 Finally, there is AUX in port for non-Bluetooth devices. 5 hours non-stop music playback on 1800mAh battery. As usual, that’s the test done with on average room sound level. Battery life will be shorter when play louder. And requires around 2.5 hours for self fully charged. Yes, the built-in player has FLAC file type support on top of the usual MP3. 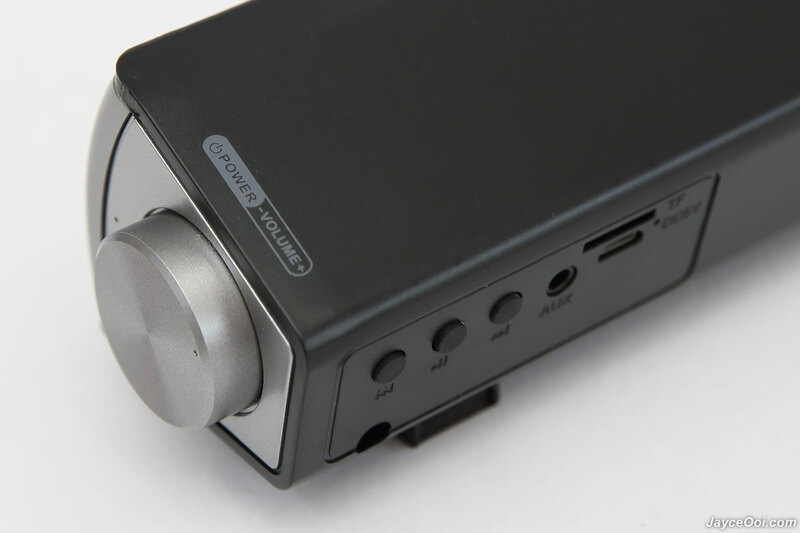 No need to convert my FLAC music collection from DAP. Just plug in SD card will do. How wonderful is that. But do take note that. It does not have audio source selection button. It will start Bluetooth as default when power on. Start play song when SD card was inserted. Same apply to AUX connection. As for sound quality, it’s basically the same as U150. Toward bright sound signature is what you get. 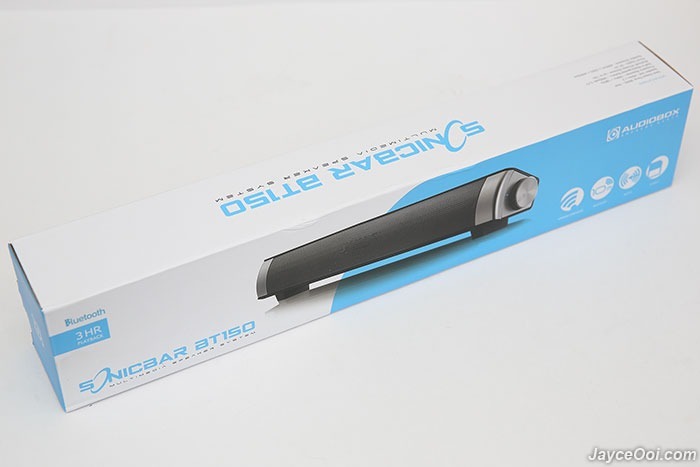 Yup, more treble than bass as usual for a small size soundbar. Again, it produces clear and crisp treble. 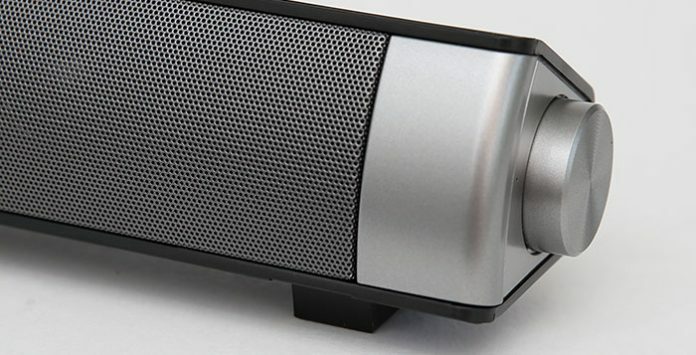 Decent bass for a mini soundbar. And not to push too hard on this little speaker toward maximum volume. Sound distortion might come in depending on your source volume. 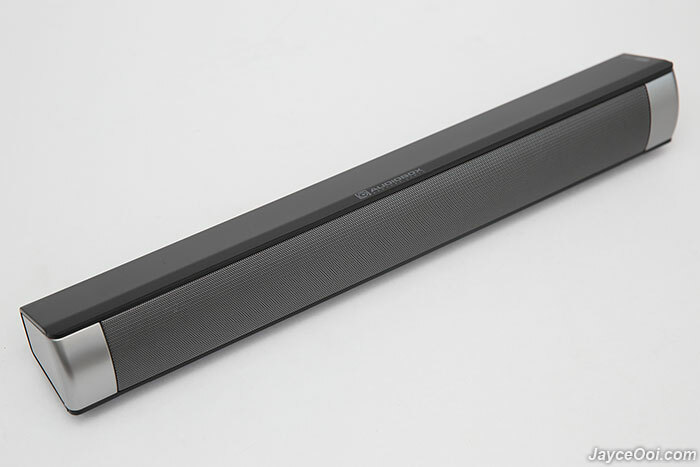 Overall, it’s a great yet budget wireless soundbar to own. You can’t go wrong with either BT150 or U150. Just pick the one that you need. And enjoy clear sound quality with decent bass out of it. 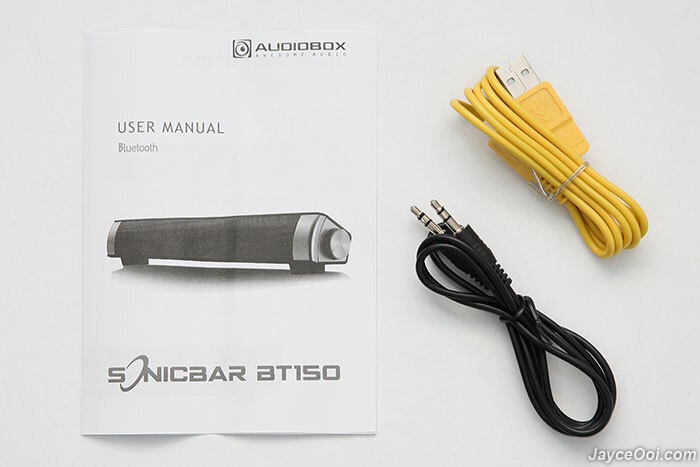 Personally, I prefer AudioBox SonicBar BT150 with Bluetooth. You can use it with mobile devices as well. And still able to use it for PC on AUX connection. That’s all for now. 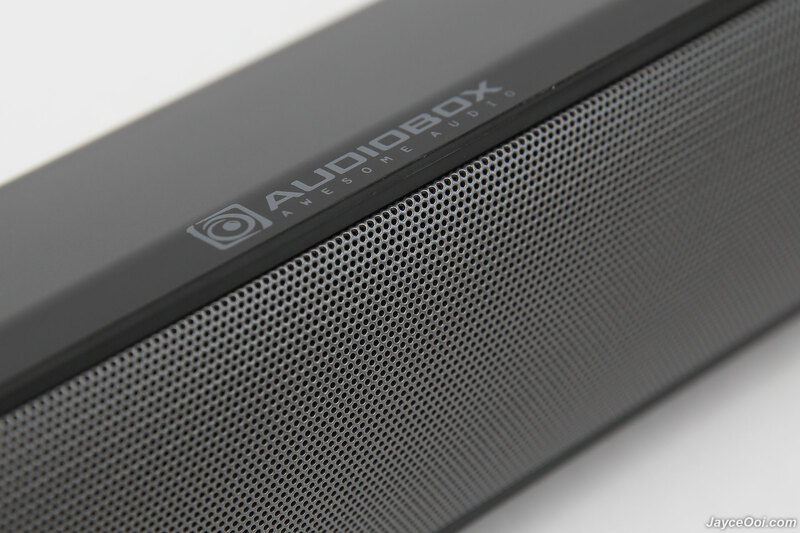 More information can be found at AudioBox Website. Get yours at Lazada. Budget yet stylish soundbar that you want to own!